Vienna was under siege. Between the trench warfare in the dried up moat below, and the pangs of hunger that led civilians to capture and eat “roof rabbits” (also known as…cats) there was a soft, clanking sound underneath the city’s feet. Impossible to hear over the cannon’s roar, but in the quiet of the night, in the early ours of the bakery, a pastry cook might hear a chisel fighting against rock to break into the city. The bakers alerted the guard, and counter-miners dug below, intercepting and killing the enemies that hid in the darkness. Vienna was saved for another day. As a reward, the Emperor allowed this group of bakers to make a special bread inspired by the defeat of their mortal enemy – the Ottoman Empire under their Crescent shaped banner. The croissant, was born. Now, like most good stories, this one has truth but requires a fistful of salt. On today’s episode of A Time and A Plate we delve into the tunnels under Vienna to discover the true history of the croissant. 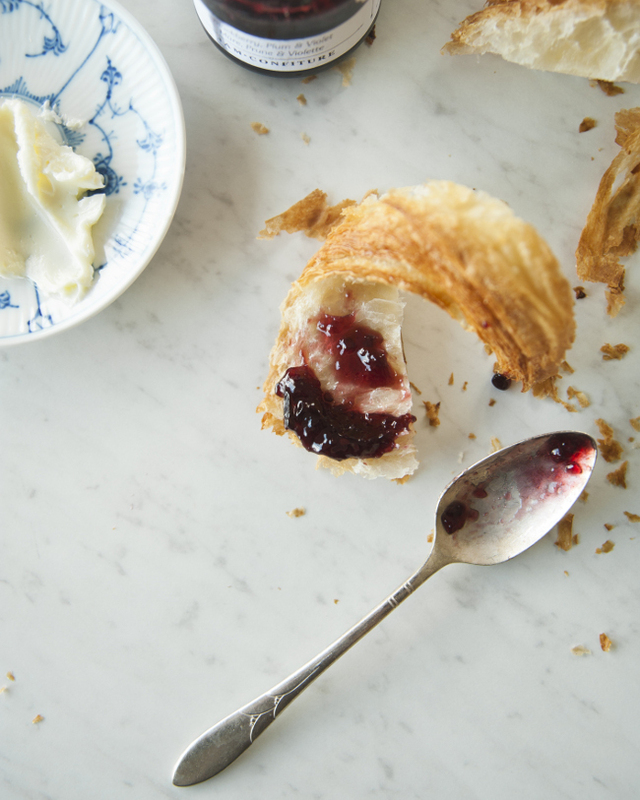 We then sit down with Na Young Ma, the owner and head baker behind LA’s best (and my favorite) bakery, Proof. 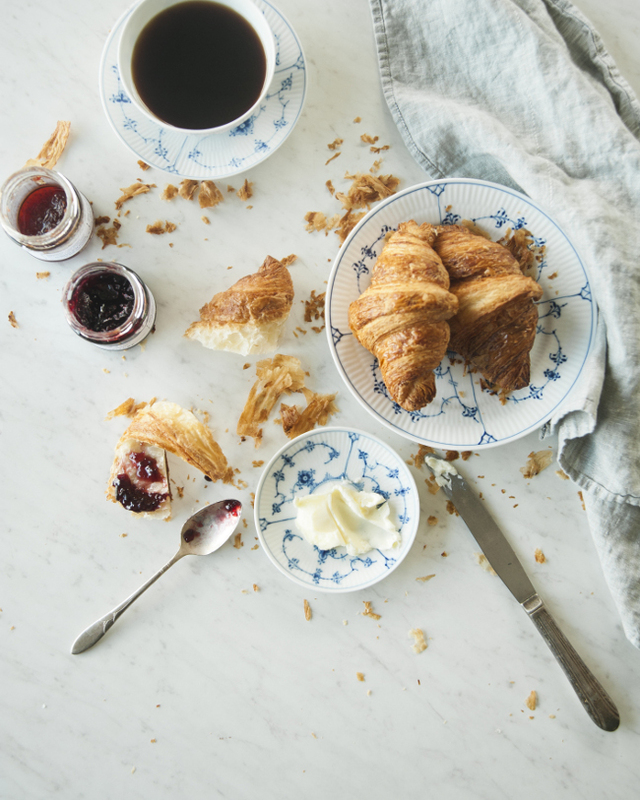 Her croissants are legendary, and we got her tips for how to get the best homemade croissants (I’m using one of my croissant recipes as the guinea pig). They’re so dark and caramelized, and an explosion of flakey awesomeness. Please make sure to try a batch of these, or if you’re in LA, check out Proof. You’ll probably see me in line buying my second sandwich. 1. Make sure your dough remains cold while rolling. You want the butter inside your dough to remain cold, but malleable. During the summer, we use these ice packs to cool down the bench (work area) before we start rolling. 2. Make sure you give the dough enough rest in between your turns. If you feel the dough is pulling back while you are rolling, stop right there, return it to the fridge and give it more rest. 3. 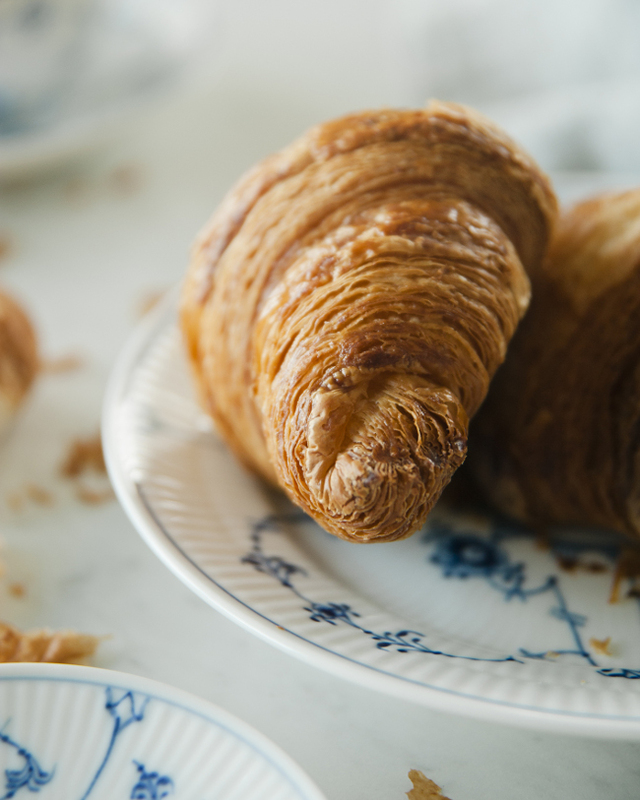 After you shape the croissants, try an letting them sit in the fridge overnight to create more flavor and development. In a small bowl, combine water, yeast, and 1 teaspoon sugar. Stir to combine. Let it stand for 5 minutes to allow the yeast to bubble a bit. In the bowl of an electric mixer with a dough hook attached (or if kneading by hand, a large bowl), combine the remaining 2 teaspoons sugar and the salt with the milk. Add the yeast mixture and flour to the milk mixture. Knead on low speed for 3 minutes, then up to medium speed for 8 minutes. The dough should be smooth and shiny and should create a “windowpane” when you cut off a golf ball sized piece and stretch it with your hands. For it to be a “windowpane,” light has to pass through it. If you don’t have a mixer, knead the dough on a well floured surface using your hands. Transfer dough to a clean bowl (or in my case plastic tub). Cover with plastic wrap or a lid and let stand in a warm place until at least doubled in bulk, about 2 hours. Punch down the dough, press it flat, and put it in fridge for at least 2 hours or up to overnight. Grate fridge cold butter like you would cheese over a sheet of plastic wrap. With you hands push it together into a 5 by 9 1/2 inch rectangle, wrap with plastic wrap, and press with your hands so it forms a single block. Pop back in the fridge for 30 minutes; you want the butter to be cold. When the dough is ready, remove the butter from the plastic wrap. Lightly flour the top of the dough, and work surface. Turn the dough so the edge of the top flap is to your right and roll the dough into a rectangle, 18 by 8 inches. Roll quickly, and all the way through the dough, as you want to to be an even thickness all the way through. Fold again like a business letter. Wrap in plastic wrap, and transfer to fridge for 1 hour. Remove dough from refrigerator. Sprinkle lightly with flour, and repeat the rolling and folding process twice more, as above. If the butter has hardened, lightly beat the dough with the rolling pin going from one side to the other until butter has softened. Refrigerate for at least 2 hours or up to overnight. Resting overnight will make it easier to shape. On a lightly floured surface, roll the dough out to be a 16 by 8 inch rectangle. Cut into 4 rectangles, each 8 by 4 inches. Then cut each rectangle diagonally into 2 triangles. Trim edges, make a little incision in the base of the triangle, and stretch lightly into skinny long triangles. Roll up fairly tight, starting from the base with the incision and rolling forward. Stretch the ends towards each other to create a little crescent shape. 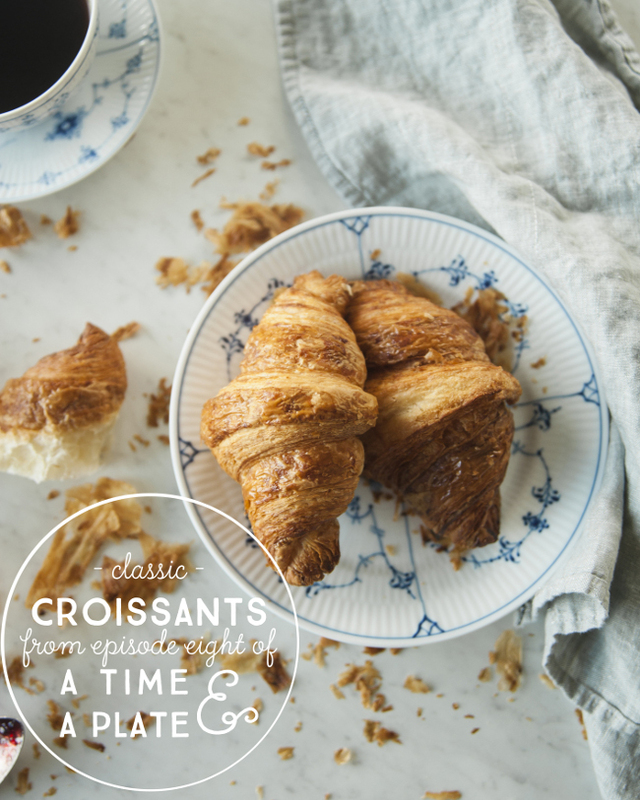 At this point, you can let the croissants rise again right away, fridge overnight and rise next day, or freeze (defrost overnight in fridge before rising). Place the croissants on a parchment of silicon mat lined baking sheet. 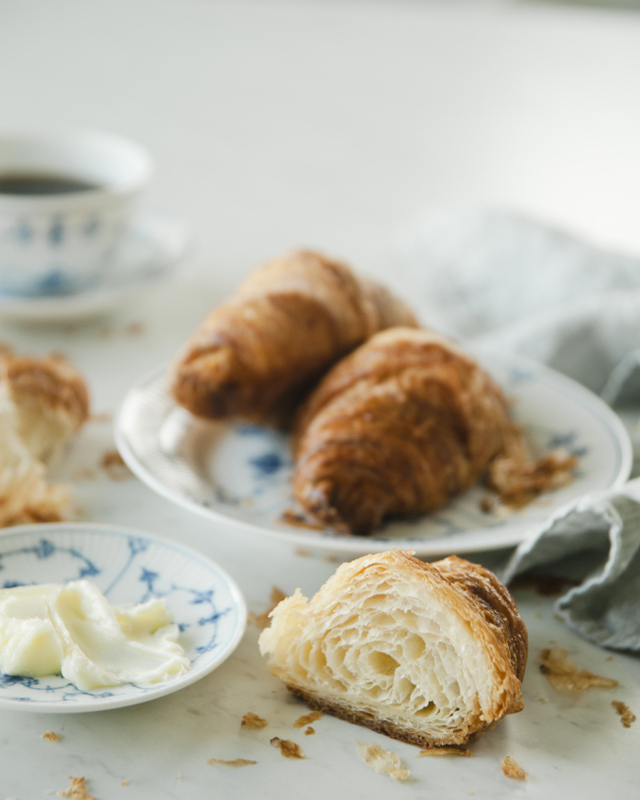 In a small bowl, whisk together egg yolk and heavy cream, and lightly brush over tops of croissants. Let the croissants rise in a warm space, which for me is my oven set to about 85F (the lowest setting on my oven), until very soft and jiggly, about 1 1/2 hours. Brush another layer of egg wash after they’ve risen. Bake at 425F for 10 minutes then rotate the pan and turn down the oven to 375F and continue cooking for 15 minutes. Transfer to a wire rack to cool for 15 minutes before serving. Try your hardest not to eat them straight from the oven, as they need to cool for the layers to set properly. Cuisine and culture: A History of Food and People by Linda Civitello.